The Lilypad: Our first mobile app is finally here! 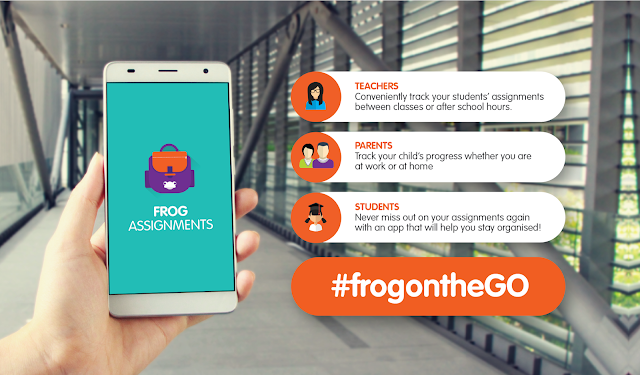 Introducing the Frog Assignments app, now available for FREE on Google Play! By now you've already experienced the Assignments app on the Frog VLE. Now it's time to bring that experience to your mobile device! Teachers, Parents, and Students; this app is for everyone! This app comes already comes preloaded in the brand new Yes 4G Altitude phones released this week by Yes 4G. Are you ready to get started? Download the app for FREE from Google Play by clicking here. Now, all you need is your YES ID and your school's Frog VLE URL to log in. Don’t worry if you’re unsure about the Frog VLE URL. You can use the built-in search function to find it. Join our photo competition to win great prizes! It doesn't stop there! To mark the occasion, we are also putting together a photo competition from 30th June - 23rd July with weekly prizes up for grabs. Weekly winners will stand a chance to win the grand prize of one brand new Yes Altitude phone. Take a picture of yourself with the app displayed on your phone and post it up on your social media account. 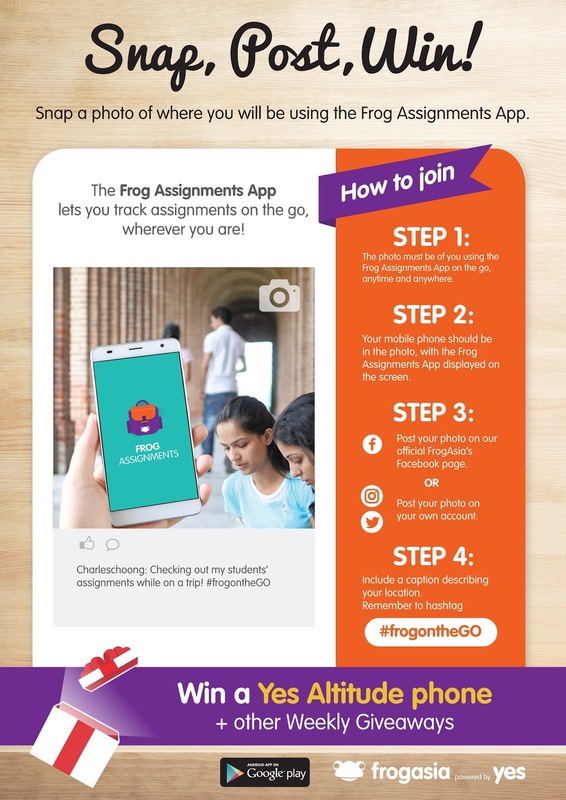 Make sure you post it with a description of your location and the hashtag #frogontheGO ! Find out how to submit your entry along with terms and conditions at our Facebook page here.